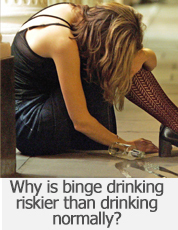 Why is binge drinking riskier than drinking normally? Two large glasses of wine may not seem like very much. But drinking six units of alcohol in a short space of time â€“ an hour, say â€“ will raise your blood alcohol concentration (BAC) and could make you drunk very quickly. 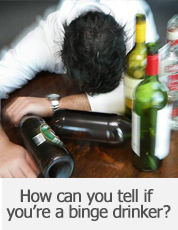 Drinking the same amount over several hours, and accompanied by food, will not have the same effect on your BAC. How can you tell if you’re a binge drinker? sometimes drink to get drunk. 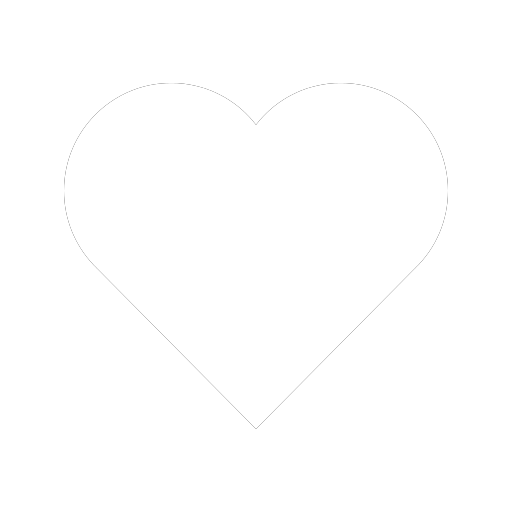 If you find it hard to stop drinking once you have started, you could also have a problem with binge drinking and possibly Aalcohol dependence. Accidents and falls are common because being drunk affects your balance and co-ordination. 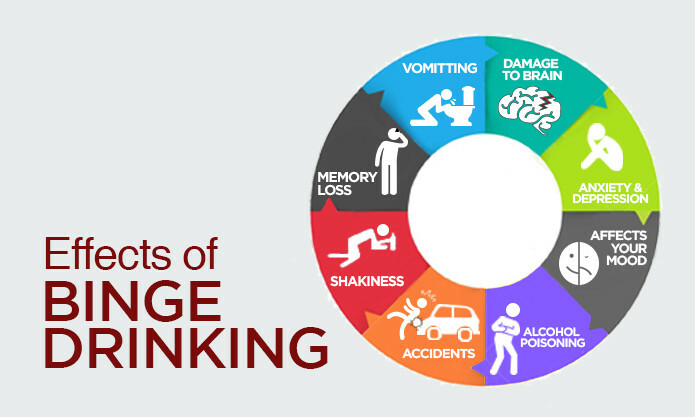 Binge drinking can affect your mood and your memory and in the longer term can lead to serious mental health problems. 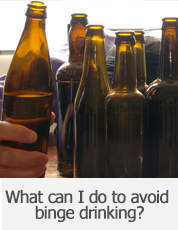 More commonly, binge drinking can lead to anti-social, aggressive and violent behaviour.